Every wardrobe needs a pair of classic flats. 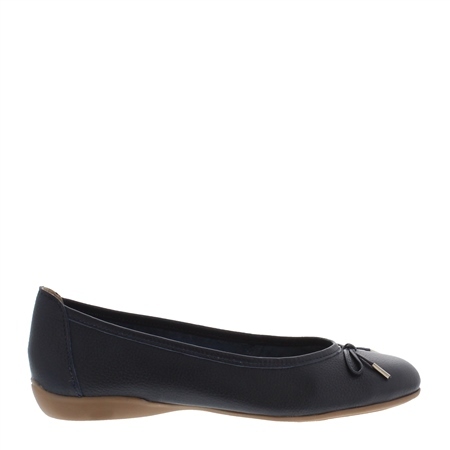 Hosanna are crafted from the finest smooth navy leather and maintain their classic look with a simple bow detail. This verstaile style is perfect for walking to work and into the weekend.